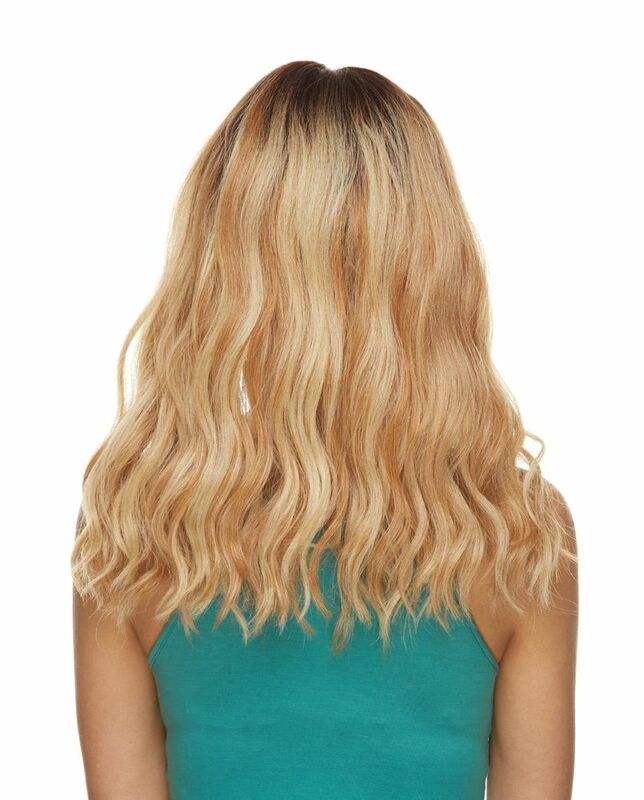 Long and wavy lace front wig with center part in gorgeous color blends. Premium quality adult size wig in silky radiant synthetic hair fibers. Easy to maintain high quality synthetic fiber. When styling use only low heat settings. Model is wearing this wig in dark brown roots/ombre strawberry blonde and pale blonde tips.